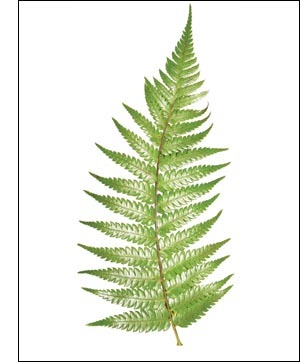 Ferns, although there are not many varieties of them available for culture indoors, are probably more universally used as house plants than any other class of plants. Their culture is not difficult. In the first place, ferns want a porous soil, say two parts screened leaf-mould, one sand and one old manure or rich loam, the latter being preferable. In the second place, they should be given a warmer temperature, a minimum of fifty-five degrees at night being very desirable, although not absolutely essential. The third requisite in success with ferns is a moist atmosphere, as well as plenty of water at the roots. If the pots are carefully drained as they should be, and the soil properly porous, it will be almost impossible to over-water at the roots. Great care should be taken, however, not to wet the foliage, particularly where the sun can shine on the leaves. When the fronds must be wet, to keep them dean, try to do it on a warm day, that they may dry off quickly near an open north or east window. They should always be given as much light as possible, without direct sunlight, and as much air as possible while maintaining the proper temperature. Many of the ferns can be increased either by runners or division, and these are easily propagated at home. Those which are grown from spores (the fern's seeds) it will be better to get from the florist's. Most of the ferns belong to one of three groups, the sword ferns (Nephrolepis), the maidenhairs (Adiantum) or the spider ferns (Pteris). The distinguishing feature of the sword ferns is their long pointed fronds; the maidenhairs command attention by their beautiful feathery foliage, in some varieties as delicate as the filmiest lace; and the spider ferns, seen usually in mixed varieties in dishes or fern pans, are attractive for their shades of green, gray, white and silver, and compact growth.